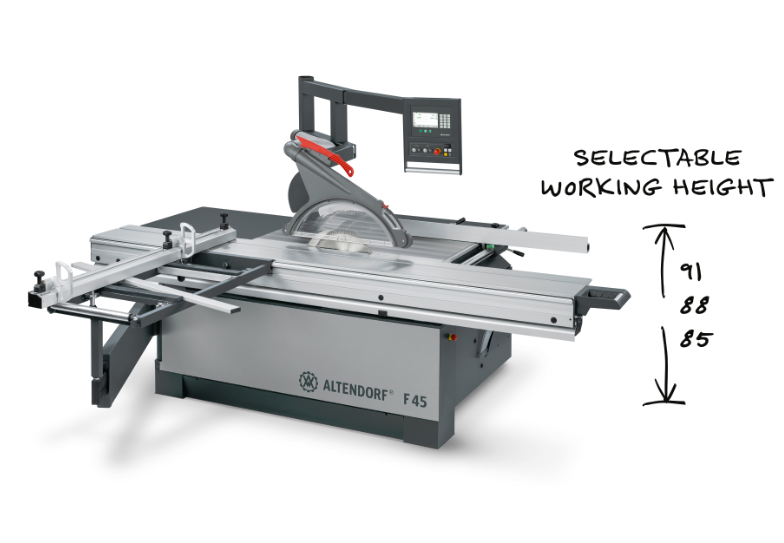 Although the working heights for sliding table saws have kept rising in recent years, there has also been international demand for lower machines from Altendorf. The company has responded to this and now offers three working heights for the F 45 sliding table saw throughout the world: 85, 88 and 91 cm. When ordering the machine, customers can specify which height they require to suit their exact needs. To find out more, contact Altendorf Asia Pacific on 1800 558 258.